For those of you that are curious, I'm not on any sort of special diet -- I'm not a "clean" eating connoisseur (although I minimize processed foods as much as possible), I don't quite understand the obsession with paleo (no judgement if you do), and I'm not too interested in alkaline, Mediterranean, low-fat, carb-free, and other random diets. I'm simply on a journey to be well -- to make small, sustainable lifestyle changes that will have a bigger impact over time. 2. 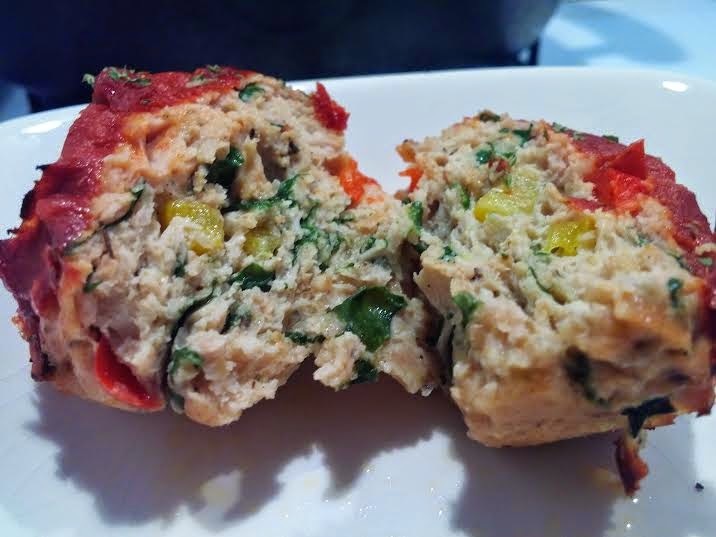 In a large bowl, combine ground chicken, bell peppers, and seasonings. 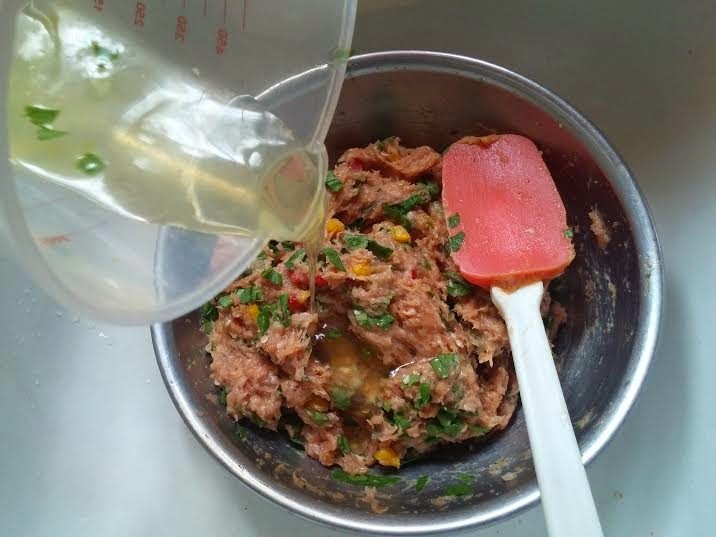 Mix thoroughly by hand or with a nonstick rubber spatula. 3. After seasonings and bell peppers are evenly mixed throughout the meat, add in spinach first and mix again. Pour in egg whites last. Mix until all of the egg whites are completely folded into the meat and vegetables. 4. 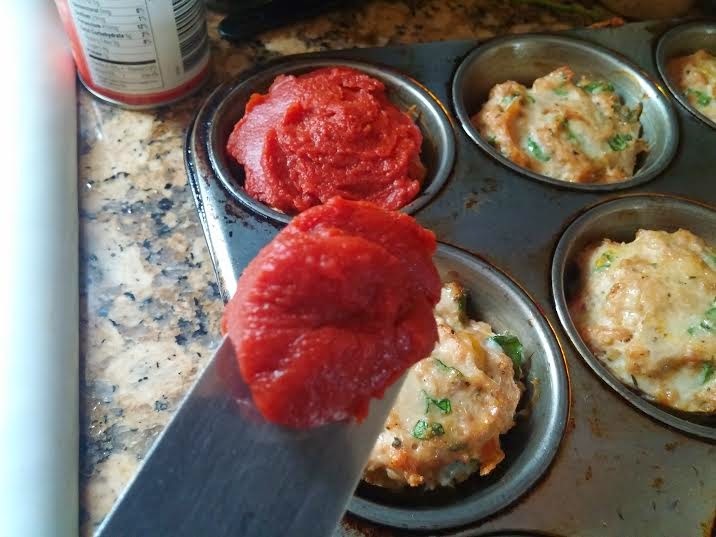 Spray muffin pan(s) with nonstick cooking spray, and scoop meatloaf mixture into each tin evenly. 5. 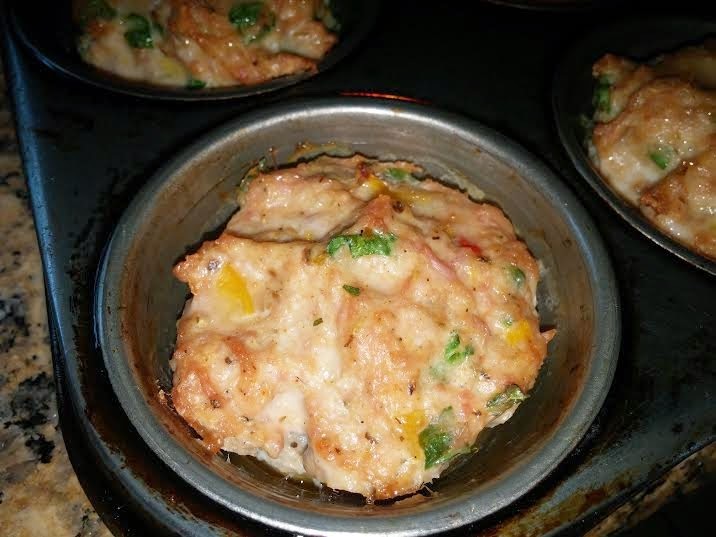 Bake for 30 minutes on 375 degrees Fahrenheit. 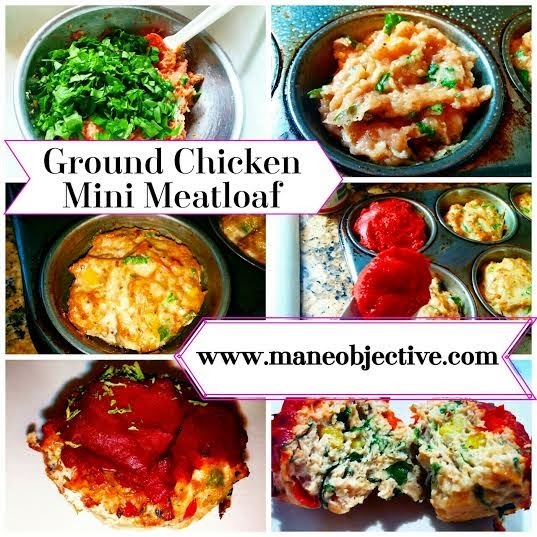 Mini meatloaves will be brown on top and cooked all the way through. 6. 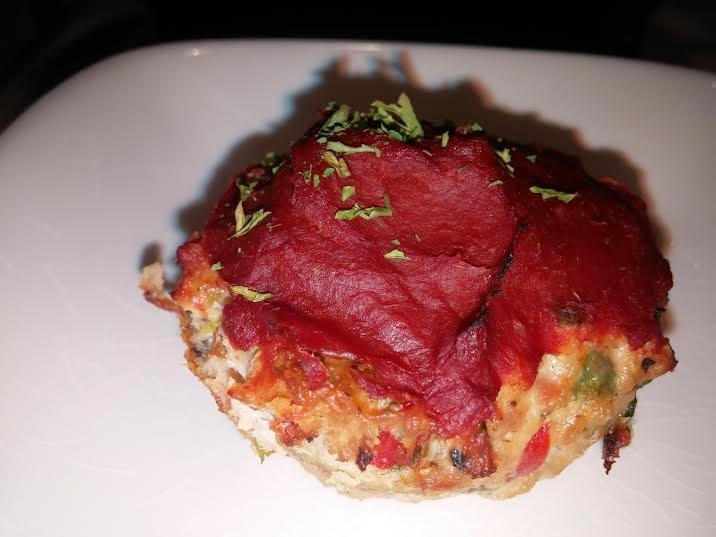 Remove from oven, and spread approximately half a tablespoon of tomato paste on top of each meatloaf muffin. 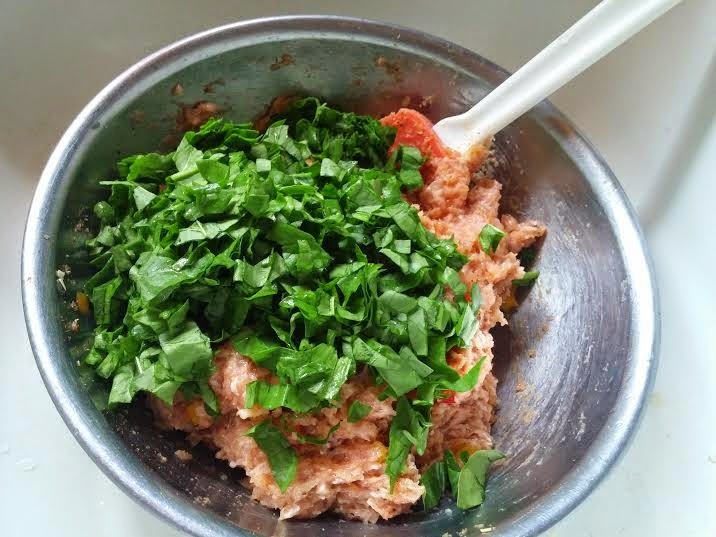 Garnish with parsley. 7. 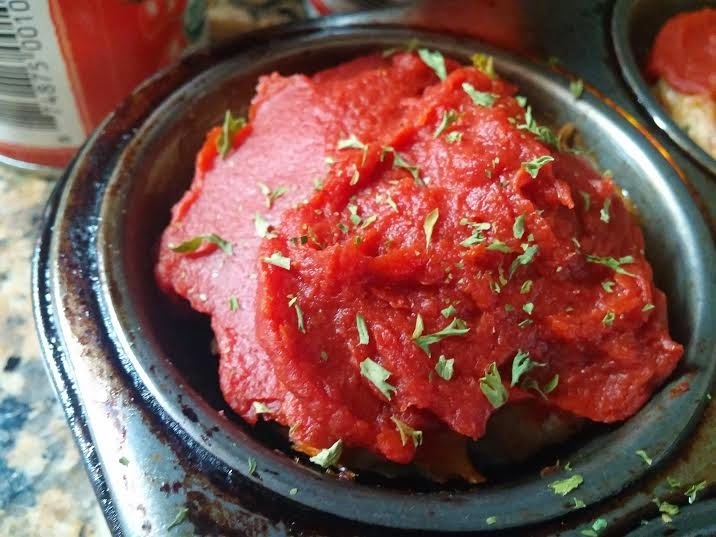 Return mini meatloaves to oven for 5 minutes to let the tomato paste bake on. 8. 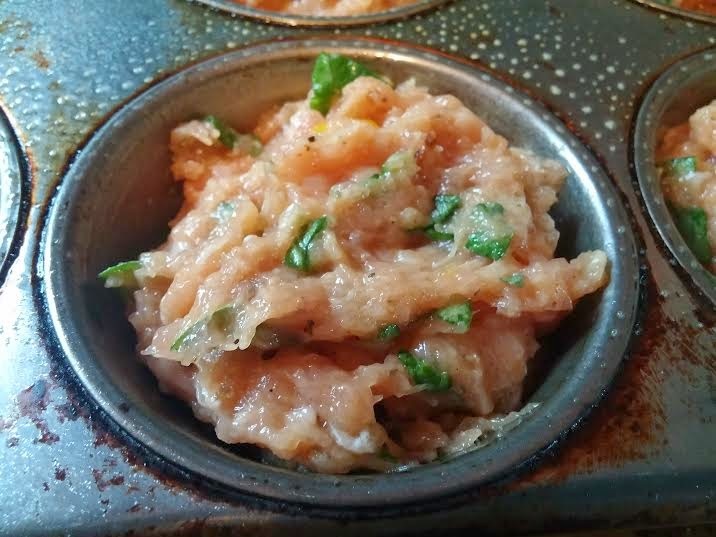 Remove from oven, let the mini meatloaves stand for 5 minutes, then transfer them individually to a container or plate for storage or serving. Looks delish! I will be trying this soon! Seems so tasty and healthy. 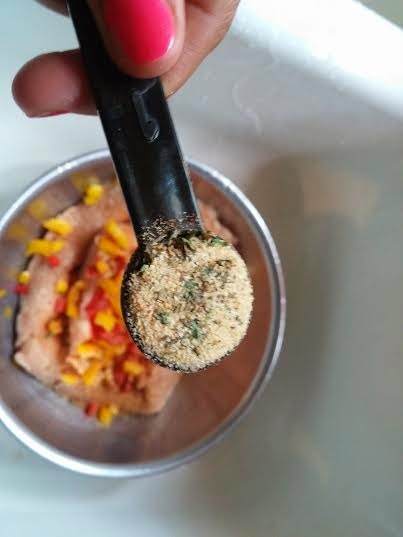 One thing, chicken is my most favourite food so this recipe is a must try for me and as, it is the great source of protien, so it will also be a great try to those who are health conscious and need healthy food in their diet. stability. So eat nutritious meal and add regular exercise into your daily routine for a healthy living.